Kady, Ezra, Hanna, and Nik narrowly escaped with their lives from the attacks on the Heimdall station and now find themselves crammed with 2,000 refugees on the container ship, Mao. With the jump station destroyed and their resources scarce, the only option is to return to Kerenza - but who knows what they'll find seven months after the invasion? Meanwhile, Kady's cousin, Asha, survived the initial BeiTech assault and has joined Kerenza'a ragtag underground resistance. When Rhys - an old flame from Asha's past - reappears on Kerenza, the two find themselves on opposite sides of the conflict. 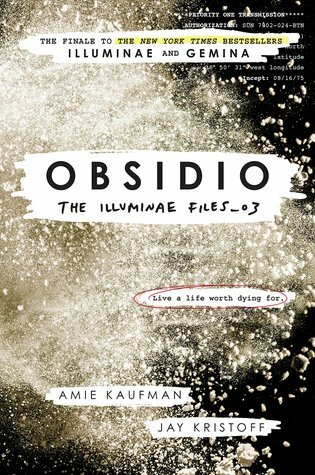 If there was any book that I have been waiting for its release, it has to be Obsidio. I remember when I read the first book because my friend had recommended it to me. All I could remember after reading the first installment was how bad I needed the next book in my hands and that waiting a year for it to come out was unacceptable. For those that know me, science fiction is not a genre that I really lean towards when selecting my next read but for some reason, this was a science-fiction book that took me out of this world and through different galaxies. I think one of my favorite part about this trilogy is in how Kaufman and Kristoff tell the story. 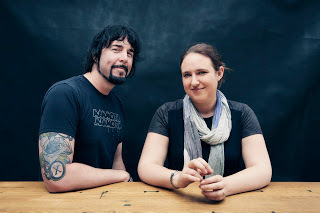 Through messages, emails, AI programming, there is so much detail that went into making this story. Both authors blew my mind literally with their story telling that brought laughter, that brought tears, that brought anger and that brought so much more. The story continues with Kady, Ezra, Hanna, Nik and Asha. Some being on a station that is scare on resources for its crew and one on a planet that is about to start a rebellion that can save the lives of so many. Through different POV’s we see the final scenes from every perspective as enemies become friends, allies become the enemy and an AI brings me to literal tears. I do not think I have cried so much while reading a book that it felt natural just to have a box of tissues at the ready whenever I turned to the next page. I think my most favorite character of all time does have to be Aiden. Now before you jump to these crazy conclusions there is a reason. Although it is the reason, as mentioned above, that brought me to literal tears (you must read to understand why), I always felt that it was misunderstood. That deep down it just wanted to understand the idea of someone to care for and for someone to care for it, yes, even though it is an AI. I think there was both this complexity and simplicity to its being. Now I may be bat-crazy but that is where I stand. Overall both authors brought me to sit in the corner of my room and really ponder on what I just read and let me say that there are only a couple of authors who have done that. This was such a thrilling and out of this world experience that I will probably take the adventure all over again. If you are the person who has yet to stumble upon this fantastic trilogy I highly encourage you to set whatever book you are currently reading to the side and pick up this interstellar masterpiece. 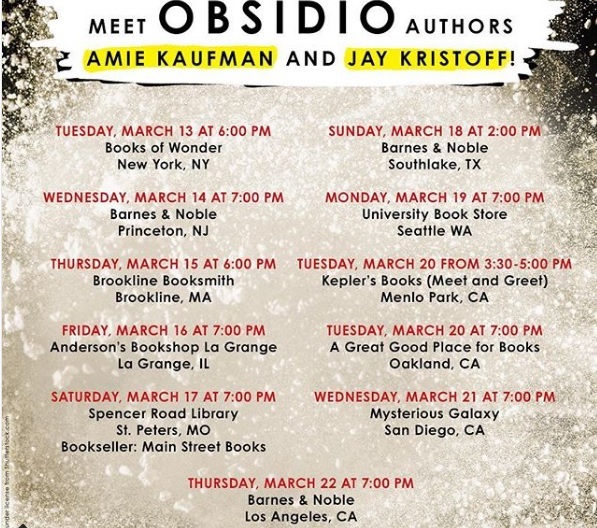 3 winners will receive a finished copy of OBSIDIO, US Only.